Design and MATLAB concepts have been integrated in text. Integrates applications as it relates signals to a remote sensing system, a controls system, radio astronomy, a biomedical system and seismology. 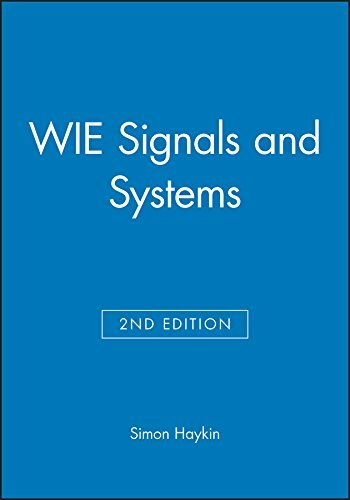 Intended for use in an undergraduate course in electrical engineering, this book provides a modern treatment of signals and systems. It will prepare students for senior-level courses in communication systems, control systems, and digital signal processing (as encountered in digital audio), radar, radio, astronomy, sonar, remote sensing, seismology, and biomedical engineering. Examples and drill problems and solutions are provided throughout the book. 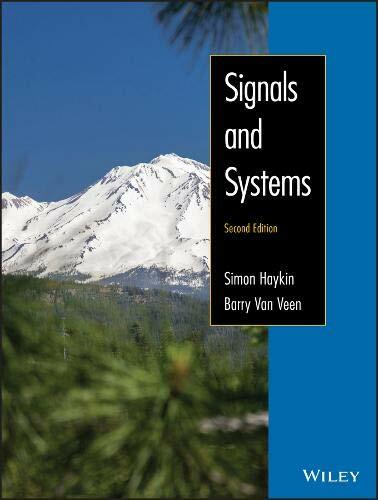 Reaching the conceptual peaks of signals and systems can be a challenge. 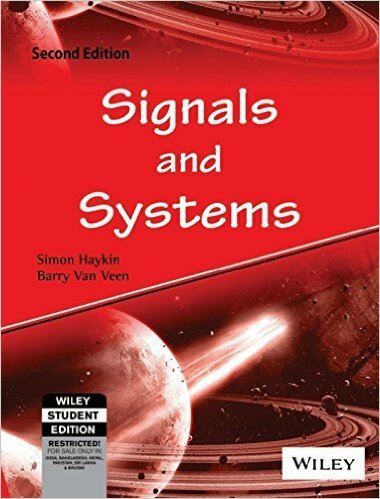 But well-known authors Simon Haykin and Barry Van Veen help you clearly see connections among concepts and recognize the relevance of signals and systems to the broader field of electrical engineering. * New problems: The new edition includes opportunities for demonstration and practice throughout. * New themed examples: Six new themed examples demonstrate the range of problems to which signal and system concepts can be applied, including RC circuits, MEMS accelerometer, radar range measurement, moving average system, multipath communication channel, and first order recursive discrete time computation. The authors revisit these themed examples using different mathematical tools to show how each tool give unique insight into the problem at hand in the context of a real world problem. * New coverage throughout: Contains new sections on MEMS and derivatives of the unit-impulse function, the Costas receiver for demodulation of double sideband-suppressed carrier-modulated signals, and the fundamental notion of feedback and 'why feedback', as well as more detailed treatment of wavelets and the stability of nonlinear feedback systems. A new section on noise has also been added to Chapter 1. Chapter 4 now focuses exclusively on building bridges between the four basic Fourier representation for applications in which there is a missing of signal classes. * Many opportunities for practice: All examples are based on real-world problems and emphasize the correct mathematical steps needed for applying the theory. Problems vary from drill-based to complex, so you'll have plenty of room to practice. * Integrated, flexible coverage of MATLAB: MATLAB techniques and uses, as well as MATLAB practice problems, and provided at the end of each chapter.